When athletes compete in a race, they are able to observe and compare their performance against those of their competitors. In the same way, all people naturally engage in mental comparisons with the people around them during the course of daily life. These evaluations can impact our motivation and feelings. In this module, you will learn about the process of social comparison: its definition, consequences, and the factors that affect it. Understand the reasons people make social comparisons. Identify consequences of social comparison. Understand the Self-Evaluation Maintenance Model. Explain situational factors that can affect social comparison. One pleasant Saturday afternoon, Mr. Jones arrives home from the car dealership in a brand-new Mercedes-Benz C-Class, the entry-level sedan in the Mercedes family of cars. Although Mercedes-Benzes are common in Europe, they are often viewed as status symbols in Mr. Jones’ neighborhood in North America. This new car is a huge upgrade from his previous car. Excited, Mr. Jones immediately drives around the block and into town to show it off. He is thrilled with his purchase for a full week—that is, until he sees his neighbor across the street, Mr. Smith, driving a brand-new Mercedes S-Class, the highest tier of Mercedes sedans. Mr. Smith notices Mr. Jones from a distance and waves to him with a big smile. Climbing into his C-Class, Mr. Jones suddenly feels disappointed with his purchase and even feels envious of Mr. Smith. Now his C-Class feels just as uncoo as his old car. Mr. Smith is experiencing the effects of social comparison. Occurring frequently in our lives, social comparison shapes our perceptions, memory, and behavior—even regarding the most trivial of issues. In this module, we will take a closer look at the reasons we make social comparisons and the consequences of the social comparison process. In 1954, psychologist Leon Festinger hypothesized that people compare themselves to others in order to fulfill a basic human desire: the need for self-evaluation. He called this process social comparison theory. At the core of his theory is the idea that people come to know about themselves—their own abilities, successes, and personality—by comparing themselves with others. These comparisons can be divided into two basic categories. In one category, we consider social norms and the opinions of others. Specifically, we compare our own opinions and values to those of others when our own self-evaluation is unclear. For example, you might not be certain about your position on a hotly contested issue, such as the legality of abortion. Or, you might not be certain about which fork to use first in a multi-course place setting. In these types of instances people are prone to look toward others—to make social comparisons—to help fill in the gaps. Imagine an American exchange student arriving in India for the first time, a country where the culture is drastically different from his own. He notices quickly through observing others—i.e., social comparison—that when greeting a person, it is normal to place his own palms together rather than shaking the other person’s hand. This comparison informs him of how he should behave in the surrounding social context. The second category of social comparison pertains to our abilities and performance. In these cases, the need for self-evaluation is driven by another fundamental desire: to perform better and better—as Festinger (1954) put it, “a unidirectional drive upward.” In essence, we compare our performance not only to evaluate ourselves but also to benchmark our performance related to another person. If we observe or even anticipate that a specific person is doing better than us at some ability then we may be motivated to boost our performance level. Take, for example, a realistic scenario where Olivia uses social comparison to gauge her abilities: Olivia is a high school student who often spends a few hours in her backyard shooting a soccer ball at her homemade goal. A friend of hers suggests she try out for the school’s soccer team. Olivia accepts her friend’s suggestion, although nervously, doubting she’s good enough to make the team. On the day of tryouts, Olivia gets her gear ready and starts walking towards the soccer field. As she approaches, she feels butterflies in her stomach and her legs get wobbly. But, glancing towards the other candidates who have arrived early to take a few practice shots at the goal, she notices that their aim is inconsistent and they frequently miss the goal. Seeing this, Olivia feels more relaxed, and she confidently marches onto the field, ready to show everyone her skills. There are important factors, however, that determine whether people will engage in social comparison. First, the performance dimension has to be relevant to the self (Festinger, 1954). For example, if excelling in academics is more important to you than excelling in sports, you are more likely to compare yourself with others in terms of academic rather than athletic performance. Relevance is also important when assessing opinions. If the issue at hand is relevant to you, you will compare your opinion to others; if not, you most likely won’t even bother. Relevance is thus a necessary precondition for social comparison. A secondary question is, " to whom do people compare themselves ?" Generally speaking, people compare themselves to those who are similar (Festinger, 1954; Goethals & Darley, 1977), whether similar in personal characteristics (e.g., gender, ethnic background, hair color, etc.) or in terms of performance (e.g., both being of comparable ability or both being neck-and-neck in a race). For example, a casual tennis player will not compare her performance to that of a professional, but rather to that of another casual tennis player. The same is true of opinions. People will cross-reference their own opinions on an issue with others who are similar to them rather than dissimilar (e.g., ethnic background or economic status). Social comparison is a bi-directional phenomenon where we can compare ourselves to people who are better than us—“upward comparisons”—or worse than us—“downward comparisons.” Engaging in either of these two comparisons on a performance dimension can affect our self-evaluation. On one hand, upward comparisons on relevant dimensions can threaten our self-evaluation and jeopardize self-esteem (Tesser, 1988). On the other hand, they can also lead to joy and admiration for others’ accomplishments on dimensions that are not relevant to the self, where one’s self-evaluation is not under threat. For example, an academic overachiever who distinguishes himself by having two advanced degrees, both a PhD and a law degree, may not enjoy meeting another individual with a PhD, a law degree, and an MBA, but may well enjoy meeting a fellow overachiever in a domain that is not self-relevant, such as a famous NASCAR racer or professional hockey player. Downward comparisons may boost our self-evaluation on relevant dimensions, leading to a self-enhancement effect (Wills, 1981), such as when an individual suffering from an illness makes downward comparisons with those suffering even more. A person enduring treatment for cancer, for instance, might feel better about his own side effects if he learns that an acquaintance suffered worse side effects from the same treatment. More recent findings have also shown that downward comparisons can also lead to feelings of scorn (Fiske, 2011), such as when those of a younger generation look down upon the elderly. In these cases, the boost to self-evaluation is so strong that it leads to an exaggerated sense of pride. Interestingly, the direction of comparison and a person’s emotional response can also depend on the counterfactual—“what might have been”—that comes most easily to mind. For example, one might think that an Olympic silver medalist would feel happier than a bronze medalist. After all, placing second is more prestigious than placing third. However, a classic study by Victoria Medvec, Scott Madey, and Thomas Gilovich (1995) found the opposite effect: bronze medalists were actually happier than silver medalists. The reason for this effect is that silver medalist's focus on having fallen short of achieving the gold (so close! ), essentially turning a possible downward comparison into an upward comparison; whereas the bronze medalists recognize they came close to not winning any medal, essentially turning a possible upward comparison (to another medalist) into a downward comparison to those who did not even receive a medal. Table 1: The effects of social comparison. The social comparison process has been associated with numerous consequences. For one, social comparison can impact self-esteem (Tesser, 1988), especially when doing well relative to others. For example, having the best final score in a class can increase your self-esteem quite a bit. Social comparison can also lead to feelings of regret (White, Langer, Yariv, & Welch, 2006), as when comparing the negative outcome of one’s investment strategy to the positive outcome of a different strategy taken by a neighbor. Social comparison can also lead to feelings of envy (Fiske, 2011; Salovey & Rodin, 1984), as when someone with thinning hair envies the thick hair of a colleague. Social comparison can also have interesting behavioral consequences. If you were to observe a discrepancy in performance between yourself and another person, then you might behave more competitively (Garcia, Tor, & Schiff, 2013), as you attempt to minimize the discrepancy. If, for example, you are among the top 10% on your class mid-term you might feel competitive with the other top students. Although competition can raise performance it can also take more problematic forms, from inflicting actual harm to making a comment to another person. These kinds of behaviors are likely to arise when the situation following the social comparison does not provide the opportunity to self-repair, such as another chance to compete in a race or retake a test (Johnson, 2012). However, when later opportunities to self-repair do exist, a more positive form of competitive motivation arises, whether that means running harder in a race or striving to earn a higher test score. The self-evaluation maintenance (SEM; Tesser, 1988) model builds on social comparison theory. SEM points to a range of psychological forces that help and maintain our self-evaluation and self-esteem. In addition to relevance and similarity, SEM reveals the importance of relationship closeness. It turns out that relationship closeness—where two people stand on the continuum from being complete strangers to being intimate friends—affects self-evaluations. For example, in one study, Tesser and Smith (1980) asked people to play a verbal game in which they were given the opportunity to receive clues from a partner. These clues could be used to help them guess the correct word in a word game. Half the participants were told the game was related to intelligence whereas the other half were not. Additionally, half the participants were paired with a close friend but the other half played with a stranger. Results show that participants who were led to believe the task was self-relevant or having to do with intelligence provided more difficult clues when their partner was a friend versus a stranger—suggesting a competitive uptick associated with relationship closeness. However, when performance was implied to be irrelevant to the self, partners gave easier clues to friends than strangers. SEM can predict which of our friends and which of our comparison dimensions are self-relevant (Tesser & Campbell, 2006; Zuckerman & Jost, 2001). For example, suppose playing chess is highly self-relevant for you. In this case you will naturally compare yourselves to other chess players. Now, suppose that your chess-playing friend consistently beats you. In fact, each time you play she beats you by a wider and wider margin. SEM would predict that one of two things will likely happen: (1) winning at chess will no longer be self-relevant to you, or (2) you will no longer be friends with this individual. In fact, if the first option occurs—you lose interest in competing—you will begin to bask in the glory of your chess playing friend as his or her performance approaches perfection. These psychological processes have real world implications! They may determine who is hired in an organization or who is promoted at work. For example, suppose you are a faculty member of a university law school. Your work performance is appraised based on your teaching and on your academic publications. Although you do not have the most publications in your law school, you do have the most publications in prestigious journals. Now, suppose that you are chairing a committee to hire a new faculty member. One candidate has even more top tier publications than you, while another candidate has the most publications in general of all the faculty members. How do you think social comparison might influence your choice of applicants? Research suggests that someone in your hypothetical shoes would likely favor the second candidate over the first candidate: people will actively champion the candidate who does not threaten their standing on a relevant dimension in an organization (Garcia, Song, & Tesser, 2010). In other words, the SEM forces are so powerful that people will essentially advocate for a candidate whom they feel is inferior! It is also worth mentioning that social comparison and its effects on self-evaluation will often depend on personality and individual differences. For example, people with mastery goals (Poortvliet, Janssen, Van Yperen, & Van de Vliert, 2007 ) may not interpret an upward comparison as a threat to the self but more as challenge, and a hopeful sign that one can achieve a certain level of performance. Another individual difference is whether one has a “fixed mindset” or “growth mindset” (Dweck, 2007). People with fixed mindsets think that their abilities and talents cannot change; thus, an upward comparison will likely threaten their self-evaluation and prompt them to experience negative consequences of social comparison, such as competitive behavior, envy, or unhappiness. People with growth mindsets, however, are likely to interpret an upward comparison as a challenge, and an opportunity to improve themselves. As the number of comparison targets (i.e., the number of people with whom you can compare) increases, social comparison tends to decrease. For example, imagine you are running a race with competitors of similar ability as your own, and the top 20% will receive a prize. Do you think you would try harder if there were only 10 people in the race, or if there were 100? The findings on N-Effect (Garcia & Tor, 2009; Tor & Garcia, 2010) suggest the answer is 10 . Even though the expected value of winning is the same in both cases, people will try harder when there are fewer people. In fact, findings suggest that as the number of SAT test-takers at a particular venue increases, the lower the average SAT score for that venue will be (Garcia & Tor, 2009). One of the mechanisms behind the N-Effect is social comparison. As the number of competitors increases, social comparison—one of the engines behind competitive motivation—becomes less important. Perhaps you have experienced this if you have had to give class presentations. As the number of presenters increases, you feel a decreasing amount of comparison pressure. Research on the local dominance effect (Zell & Alicke, 2010) also provides insights about social comparison. People are more influenced by social comparison when the comparison is more localized rather than being broad and general. For example, if you wanted to evaluate your height by using social comparison, you could compare your height to a good friend, a group of friends, people in your workplace, or even the average height of people living in your city. Although any of these comparisons is hypothetically possible people generally rely on more local comparisons. They are more likely to compare with friends or co-workers than they are to industry or national averages. So, if you are among the tallest in your group of friends, it may very well give you a bigger boost to your self-esteem, even if you’re still among the shortest individuals at the national level. Research suggests that social comparison involves the proximity of a standard—such as the #1 ranking or other qualitative threshold. One consequence of this is an increase in competitive behavior. For example, in childhood games, if someone shouts, “First one to the tree is the coolest-person-in the-world!” then the children who are nearest the tree will tug and pull at each other for the lead. However, if someone shouts, “Last one there is a rotten-egg!” then the children who are in last place will be the ones tugging and pulling each other to get ahead. In the proximity of a standard, social comparison concerns increase. We also see this in rankings. Rivals ranked #2 and #3, for instance, are less willing to maximize joint gains (in which they both benefit) if it means their opponent will benefit more, compared to rivals ranked #202 and #203 (Garcia, Tor, & Gonzalez, 2006; Garcia & Tor, 2007). These latter rivals are so far from the #1 rank (i.e., the standard) that it does not bother them if their opponent benefits more than them. Thus, social comparison concerns are only important in the proximity of a standard. Social comparison can also happen between groups. This is especially the case when groups come from different social categories versus the same social category. For example, if students were deciding what kind of music to play at the high school prom, one option would be to simply flip a coin—say, heads for hip-hop, tails for pop. In this case, everyone represents the same social category—high school seniors—and social comparison isn’t an issue. However, if all the boys wanted hip-hop and all the girls wanted pop flipping a coin is not such an easy solution as it privileges one social category over another (Garcia & Miller, 2007). For more on this, consider looking into the research literature about the difficulties of win-win scenarios between different social categories (Tajfel, Billig, Bundy, & Flament, 1971; Turner, Brown, & Tajfel, 1979). One interesting phenomenon of social comparison is the Frog Pond Effect. As the name suggests, its premise can be illustrated using the simple analogy of a frog in a pond: as a frog, would you rather be in a small pond where you’re a big frog, or a large pond where you’re a small frog? According to Marsh, Trautwein, Ludtke and Koller (2008), people in general had a better academic self-concept if they were a big frog in a small pond (e.g., the top student in their local high school) rather than a small frog in a large one (e.g., one of many good students at an Ivy League university). In a large study of students, they found that school-average ability can have a negative impact on the academic self-esteem of a student when the average ability is 1 standard deviation higher than normal (i.e., a big pond). In other words, average students have a higher academic self-concept when attending a below-average school (big fish in a small pond), and they have a lower academic self-concept when attending an above-average school (small fish in a big pond) (Marsh, 1987; Marsh & Parker, 1984). Another related topic to social comparison is the Dunning-Kruger Effect. The Dunning-Kruger effect, as explained by Dunning, Johnson, Ehrlinger and Kruger (2003), addresses the fact that unskilled people often think they are on par or superior to their peers in tasks such as test-taking abilities. That is, they are overconfident. Basically, they fail to accurately compare themselves or their skills within their surroundings. For example, Dunning et al. (2003) asked students to disclose how well they thought they had done on an exam they’d just taken. The bottom 25% of students with the lowest test scores overestimated their performance by approximately 30%, thinking their performance was above the 50th percentile. This estimation problem doesn’t only apply to poor performers, however. According to Dunning et al. (2003), top performers tend to underestimate their skills or percentile ranking in their surrounding context. Some explanations are provided by Dunning et al. (2003) for this effect on both the good and poor performers:The poor performers, compared to their more capable peers, lack specific logical abilities similar to the logic necessary to do some of the tasks/tests in these studies and, as such, cannot really distinguish which questions they are getting right or wrong. This is known as the double-curse explanation. However, the good performers do not have this particular logic problem and are actually quite good at estimating their raw scores. Ironically, the good performers usually overestimate how well the people around them are doing and therefore devaluate their own performance. As a result, most people tend to think they are above average in what they do, when in actuality not everyone can be above average. The Dunning-Kruger Effect shows that the least experienced and least knowledgeable people are over-confident. These people don’t know what they don’t know and are more likely to overestimate their own abilities. Social comparison is a natural psychological tendency and one that can exert a powerful influence on the way we feel and behave. Many people act as if social comparison is an ugly phenomenon and one to be avoided. This sentiment is at the heart of phrases like “keeping up with the Joneses” and “the rat race,” in which it is assumed that people are primarily motivated by a desire to beat others. In truth, social comparison has many positive aspects. Just think about it: how could you ever gauge your skills in chess without having anyone to compare yourself to? It would be nearly impossible to ever know just how good your chess skills are, or even what criteria determine “good” vs. “bad” chess skills. In addition, the engine of social comparison can also provide the push you need to rise to the occasion and increase your motivation, and therefore make progress toward your goals. On what do you compare yourself with others? Qualities such as attractiveness and intelligence? Skills such as school performance or athleticism? Do others also make these same types of comparisons or does each person make a unique set? Why do you think this is? How can making comparisons to others help you? One way to make comparisons is to compare yourself with your own past performance. Discuss a time you did this. Could this example be described as an “upward” or “downward” comparison? How did this type of comparison affect you? Mentally comparing actual events with fantasies of what might have been possible in alternative scenarios. Making mental comparisons with people who are perceived to be inferior on the standard of comparison. The tendency for unskilled people to be overconfident in their ability and highly skilled people to underestimate their ability. The theory that a person’s comparison group can affect their evaluations of themselves. Specifically, people have a tendency to have lower self-evaluations when comparing themselves to higher performing groups. The belief that personal qualities, such as intelligence, can be developed through effort and practice. Psychological traits, abilities, aptitudes and tendencies that vary from person to person. People are generally more influenced by social comparison when that comparison is personally relevant rather than broad and general. Goals that are focused primarily on learning, competence, and self-development. These are contrasted with “performance goals” that are focused on the quality of a person’s performance. The finding that increasing the number of competitors generally decreases one’s motivation to compete. A person’s relatively stable patterns of thought, feeling, and behavior. The relative closeness or distance from a given comparison standard. The further from the standard a person is, the less important he or she considers the standard. When a person is closer to the standard he/she is more likely to be competitive. The finding that people can boost their own self-evaluations by comparing themselves to others who rank lower on a particular comparison standard. The feeling of confidence in one’s own abilities or worth. A model of social comparison that emphasizes one’s closeness to the comparison target, the relative performance of that target person, and the relevance of the comparison behavior to one’s self-concept. Any group in which membership is defined by similarities between its members. Examples include religious, ethnic, and athletic groups. The process by which people understand their own ability or condition by mentally comparing themselves to others. Making mental comparisons to people who are perceived to be superior on the standard of comparison. Dunning, D., Johnson, K., Ehrlinger, J., & Kruger, J. (2003). Why People Fail To Recognize Their Own Incompetence. Current Directions in Psychological Science, 12(3), 83-87. Festinger, L. (1954). A theory of social comparison processes. Human relations, 7(2), 117-140. Fiske, S. (2011). Envy up, scorn down: how comparison divides us. The American Psychologist, 65(8), 698-706. Garcia, S. M., & Miller, D. (2007). Social categories and group preference disputes: The aversion to winner-take-all solutions. Group Processes and Intergroup Relations, 10, 581–593. Garcia, S. M., & Tor, A. (2007). Rankings, standards, and competition: Task vs. scale comparisons. Organizational Behavior and Human Decision Processes, 102, 95–108. Garcia, S. M., Song, H., & Tesser, A. (2010). Tainted Recommendations: The Social Comparison Bias. Organizational Behavior and Human Decision Processes, 113(2), 97-101. Garcia, S. M., Tor, A. (2009). The N-Effect: More Competitors, Less Competition. Psychological Science. 20. 871-877. Garcia, S. M., Tor, A., & Gonzalez, R. D. (2006). Ranks and rivals: A theory of competition. Personality and Social Psychology Bulletin, 32, 970–982. Garcia, S. M., Tor, A., & Schiff, T. (2013). The Psychology of Competition: A Social Comparison Perspective. Perspectives on Psychological Science, 8(6), 634-650. Goethals, G., & Darley, J. (1977). Social comparison theory: An attributional approach. In J. Suls & R. L. Miller (Eds. ), Social comparison processes: Theoretical and empirical perspectives (pp. 259–278). Washington, DC: Hemisphere. Marsh, H. W., Trautwein, U., Lüdtke, O. & Köller, O. (2008). Social comparison and big-fish-little-pond effects on self-concept and other self-belief constructs: Role of generalized and specific others. Journal of Educational Psychology, 100, 510–524. Medvec, V., Madey, S., & Gilovich, T. (1995). When Less Is More. Journal of Personality and Social Psychology, 69(4), 603-610. Poortvliet, P., Janssen, O., Yperen, N., & Vliert, E. (2007). Achievement Goals and Interpersonal Behavior: How Mastery and Performance Goals Shape Information Exchange. Personality and Social Psychology Bulletin, 33(10), 1435-1447. Tesser, A., & Campbell, J. (2006). Self-evaluation maintenance and the perception of friends and strangers. Journal of Personality 50(3), 261 - 279. Tesser, A., & Collins, J. (1988). Emotion in social reflection and comparison situations: Intuitive, systematic, and exploratory approaches. Journal of Personality and Social Psychology, 55(5), 695-709. Tor, A., & Garcia, S. M. (2010). The N-Effect: Beyond probability judgments. Psychological Science, 21, 748–749. White, J., Langer, E., Yariv, L., & Welch, J. (2006). Frequent Social Comparisons And Destructive Emotions And Behaviors: The Dark Side Of Social Comparisons. Journal of Adult Development, 13(1), 36-44. Wills, T.A. (1981). “Downward Comparison Principle in Social Psychology.” Psychological Bulletin 90: 245-71. Zell, E., & Alicke, M. D. (2010). The local dominance effect in self-evaluation: Evidence and explanations. Personality and Social Psychological Review, 14, 368–384. Zuckerman, E. W., & Jost, J. T. (2001). What makes you think you’re so popular? : Self-evaluation maintenance and the subjective side of the “friendship paradox.” Social Psychology Quarterly, 64, 207–223. 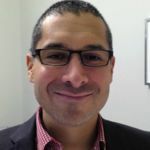 Stephen Garcia is an associate professor of psychology and organizational studies at the University of Michigan. He is interested in social comparison, competition, and, more broadly, judgment and decision making. 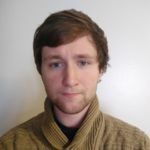 Arnor Halldorsson hails from Iceland and received his undergraduate degree in psychology from the University of Michigan in 2016. He is interested in social comparison, culture, and industrial/organizational psychology. Social Comparison by Stephen Garcia and Arnor Halldorsson is licensed under a Creative Commons Attribution-NonCommercial-ShareAlike 4.0 International License. Permissions beyond the scope of this license may be available in our Licensing Agreement.